The new generation Figo was launched almost four years ago and it was about time for the car to get a mid-life update. 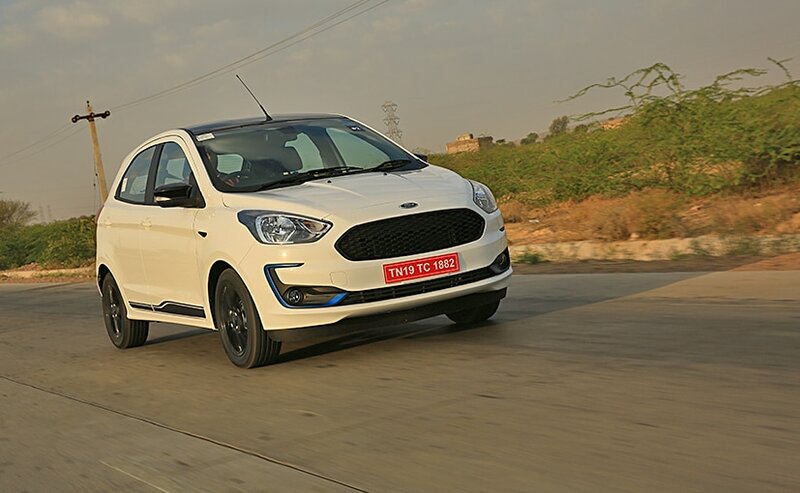 It has been on the cards for a while and now, we finally had an opportunity to test drive the 2019 Ford Figo facelift. 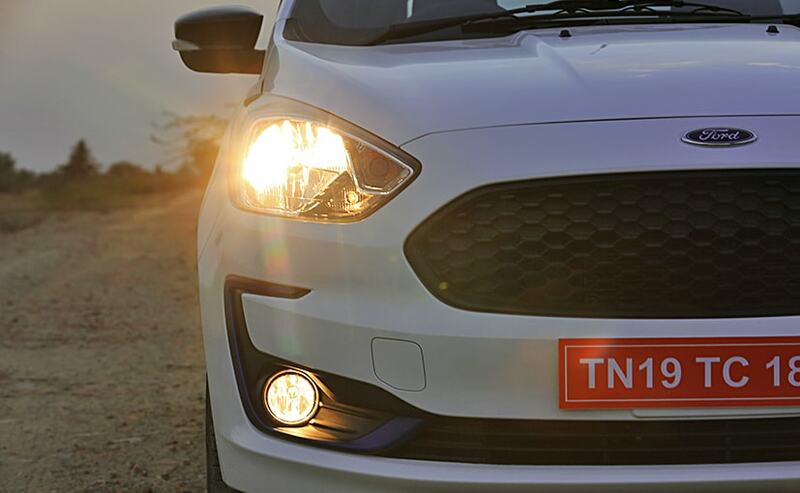 Ford India says that the Figo facelift gets over 1200 changes over the outgoing model. Which means almost 50 per cent of the car is new. The front end now gets cellular style grille which is new. The swept back headlamp cluster stays same but the fog lamps get a new housing. We drove the top spec Titanium Blu variant, wherein you have blue accents on the exterior along with a dual tone roof and newly designed alloys. While the silhouette remains the same, the Figo does get a few styling updates! There are decals all over, adding a touch of sportiness to the exterior. This is of course on the top spec Blu variant. 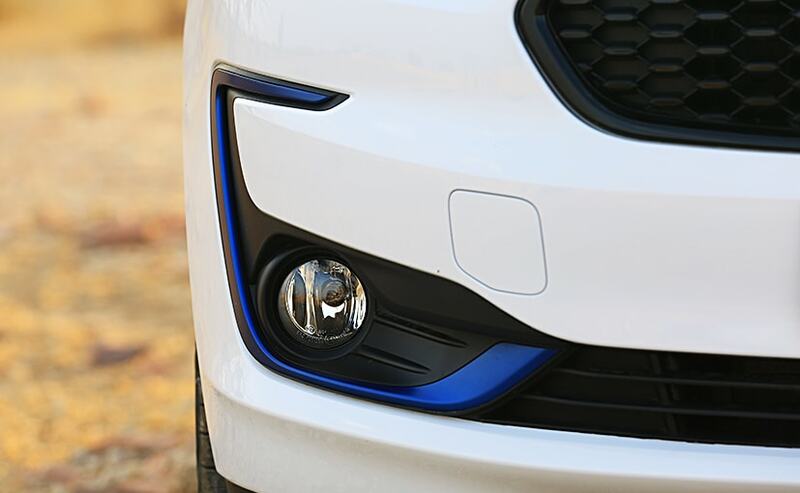 The front and rear bumpers get a re-design and new grille does look cool with the cellular design, but we would have liked if the car got LED daytime running lamps. Overall, there is a sense of freshness to the new Figo which is indeed likeable. The cabin gets a redesign as well, sporting new all-black interior with blue accents on the doors and dials along with blue contrast stitching on the seats. Again, this is offered only on the top-spec Blu variant of the Figo Facelift. The cabin is definitely a step up from the outgoing model. The 7-inch touchscreen infotainment system is intuitive and has in-built navigation along with a reversing camera as well. Both Titanium and Titanium Blu variants get the same creature comforts while the base Ambiente variant is of course bare-bones. However, the new Figo does miss out on smartphone connectivity completely, which in our opinion is a big miss! The instrument console though looks old-school and we wish there was a sexier, maybe a multi-information display unit on offer.... The all-black interior does eat into your sense of space, but there is enough room for 4 adults to fit in comfortably and of course, it looks sporty. 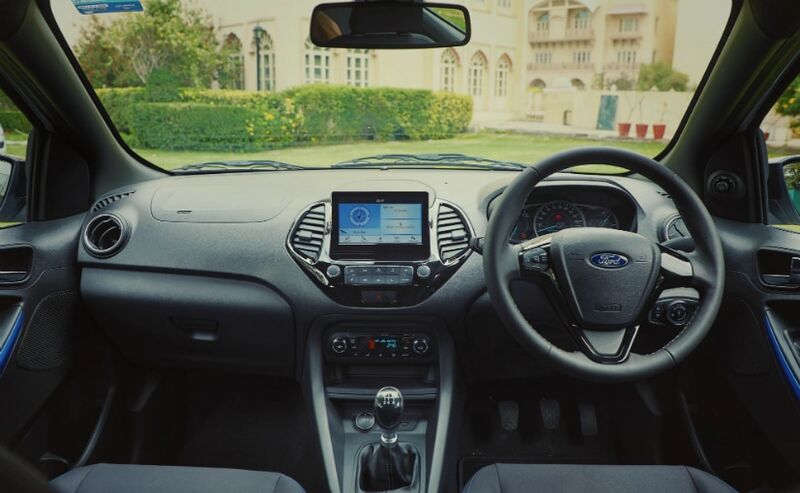 Ford is also offering a bunch of features such as auto headlamps, rain-sensing wipers, auto-climate control and push button start too.... As far as safety is concerned, dual airbags and ABS with electronic brake force distribution is standard on all variants while the top-spec Titanium Blu model gets 6 airbags, which is best-in-class. 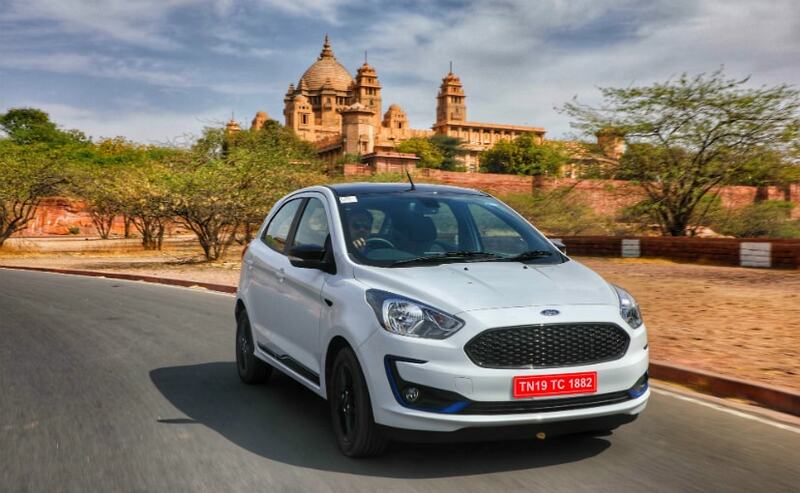 Ford will be offering a 1.5-litre diesel along with a 1.5-litre petrol engine for the new Figo. What is new is the 1.2-litre Dragon petrol engine which makes 95 bhp at 6,500 rpm and 120 Nm of peak torque at 4,250 rpm. All variants of the Figo get a 5-speed manual but the 1.5 litre petrol variant gets a 6-speed torque convertor automatic gearbox. We drove the 1.2 dragon petrol variant first. This same engine is offered in the Freestyle and Aspire as well. The low end grunt is a little lacking, which means driving in the city will require you to work the gearbox. On the highway, it is easy to find your rhythm and let the car do its thing. The gearshifts are precise and we are happy to report that the Figo Facelift retains its handling prowess and supple ride quality. The car can filter through traffic easily and is happy around corners as well. The suspension doesn't crash going over big potholes and keeps the occupants in comfort at all times. The only grouse that we could figure in the driving dynamics is that under hard braking, the car isn't that stable. It wavers a fair bit and robs you of confidence when you pump the brakes hard. 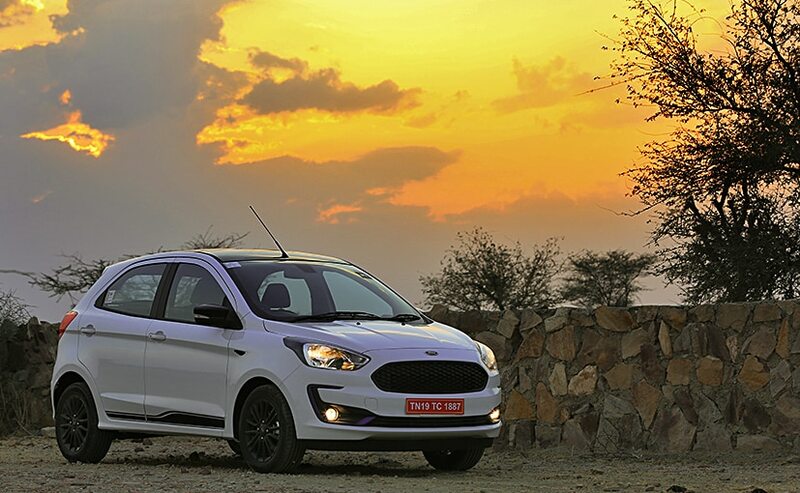 The Figo always had good driving dynamics and the new facelift model keeps it the same way. While the 1.2 petrol was brilliant on the highway, it was the 1.5 litre diesel which is better suited for the city. There is a nice shove of low end torque which makes things better and also the gearshifts are a touch slicker in the diesel variant. 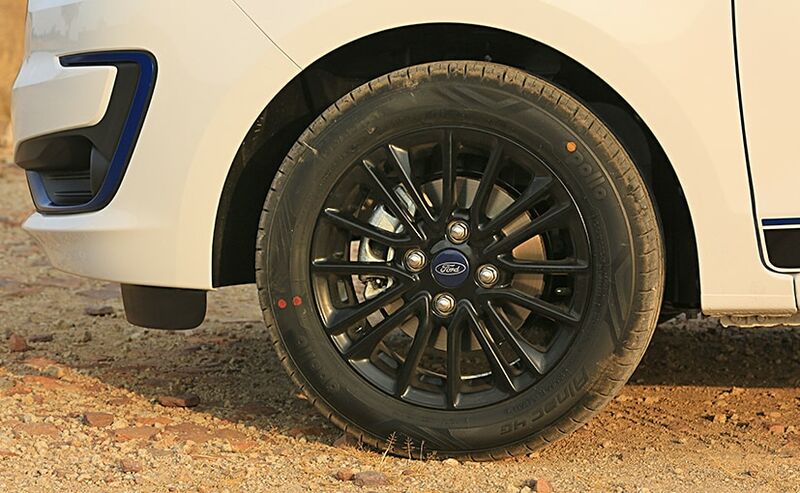 The top-spec Titanium Blu variant gets 15-inch wheels while the other models are shod with 14-inch wheels. The 1.2 petrol has a claimed fuel efficiency of 20.4 kilometres per litre while the 1.5 diesel can run for 25.5 kilometres on a single litre of diesel. 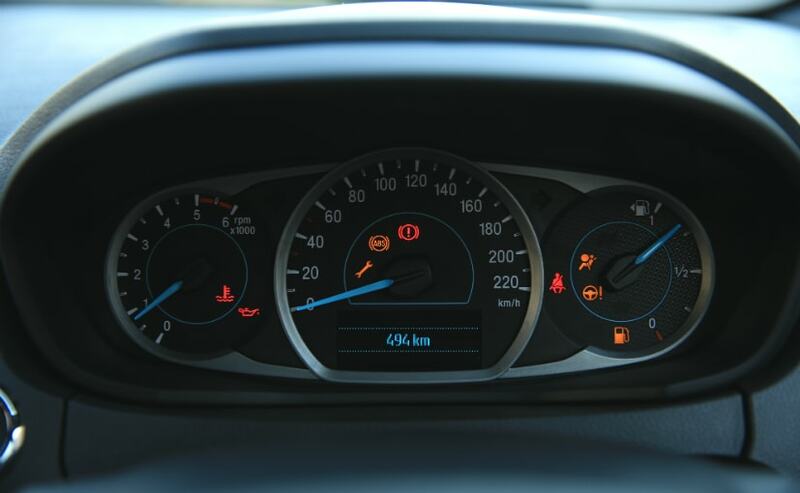 The 1.5 petrol, with the automatic gearbox has a fuel efficiency of 16.3 kilometres per litre. Of course, we will get you the real world figures once we carry out a proper comparison review of the Figo with its peers. Prices for the Figo facelift start at 5 Lakh 15 thousand rupees for the petrol variants and go up to 8 lakh 9 thousand rupees for the 1.5-litre petrol Titanium model. For diesel variants, the prices start at 5 lakh 95 thousand rupees and go up to 7 lakh 74 thousand rupees for the top-spec Blu variant. The prices of the new Figo are lower than that of the outgoing model plus, it is also more affordable than those of the Maruti Suzuki Swift. The Hyundai Grand i10 is more attractively priced, with the top-spec petrol model being almost a lakh cheaper than the top-spec Figo petrol. 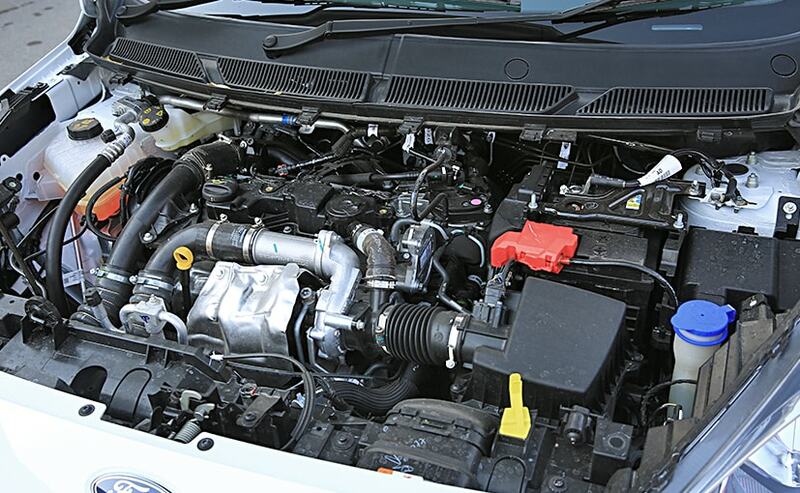 The top spec diesel is also 12,000 rupees cheaper than the top Figo diesel variant. 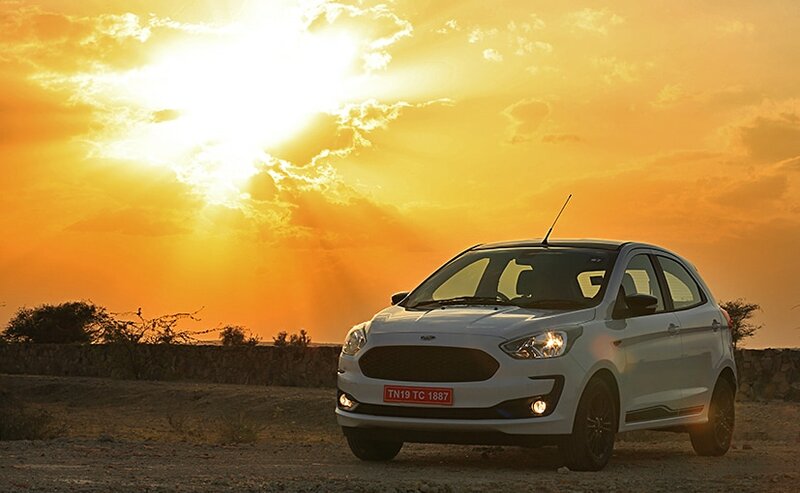 The Figo was always one of the better selling models from Ford and with the facelift; the product has only gotten better. It is at par with its rivals in terms of features and performance and certainly scores more in the safety department with six airbags on offer. The design updates definitely add to the desirability quotient and Ford's tie-up with Tinder, the dating app, could be a good way to reach out to the youth, which is the target audience. If you do swipe right on the new Figo Facelift, you will definitely get a match.